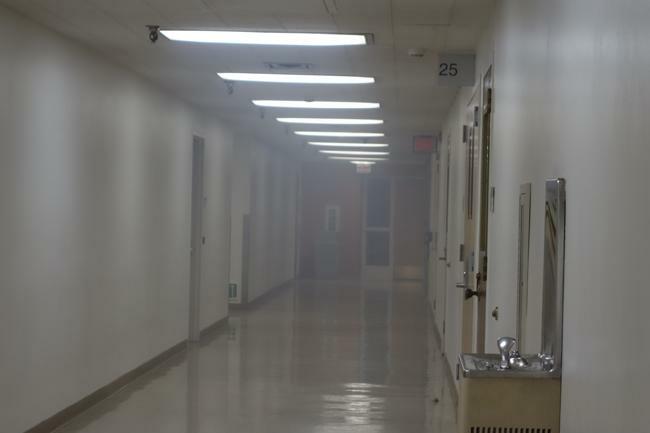 An electrical short circuit in one of the elevator motors of the Oviatt Library caused smoke to spread along the basement and garden level which prompted an evacuation of the building Tuesday night. A fire alarm went off prompting students and staff to evacuate onto Oviatt Lawn as Los Angeles Fire Department (LAFD) firefighters investigated the source of the smoke. 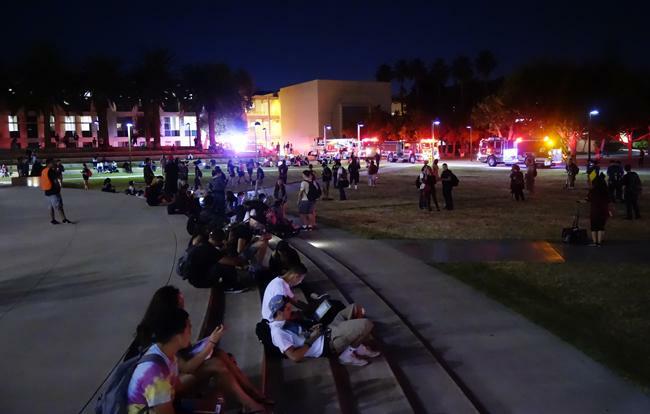 LAFD responded with several fire engines in front of the Oviatt Lawn, and the elevators in the Oviatt were shut down until they could be serviced, said Lt. Mark Benavidez of the CSUN Department of Police Services (PD). 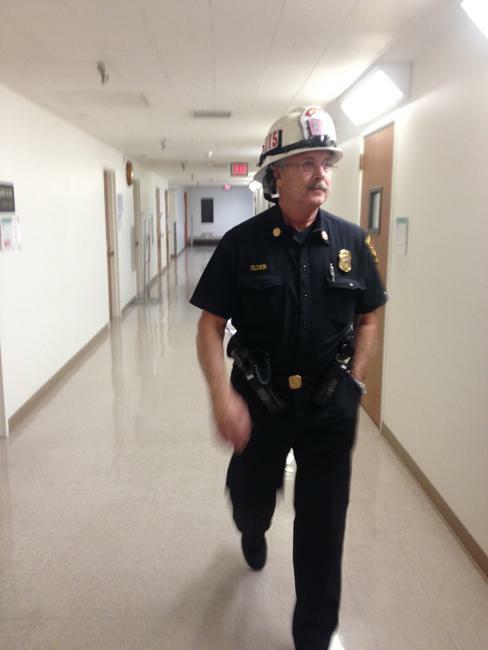 Shortly after the investigation, the fire department declared it was safe for students to enter the library. 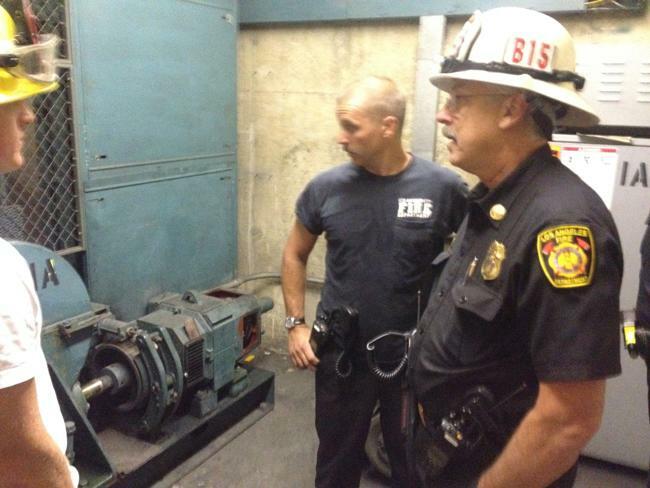 Sandra Quintero, junior sociology major, reported a rumbling noise coming from the elevators shortly before seeing smoke coming out of the bottom of the elevators. She was using one of the library computers in the Learning Commons when the order to evacuate came through. Jennifer Alvarado, who works in library reserves, donned her hardhat and reflective vest during the evacuation. “Standard procedure is that all students, faculty, and staff are moved to a safe location while authorities investigate,” Alvarado said. 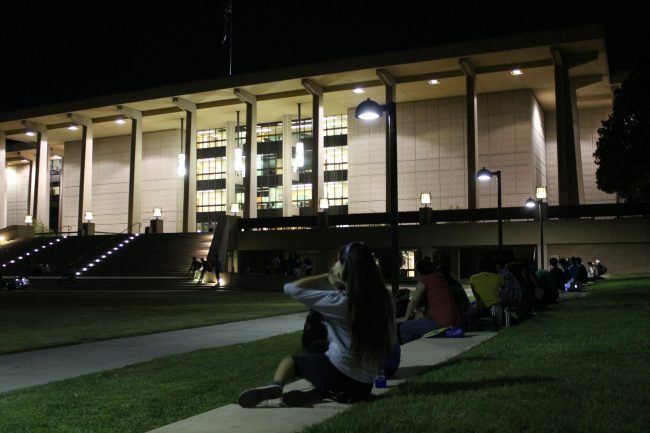 Students were forced to take their laptops and books to the Oviatt Lawn, where they gathered on the steps and across the lawn to continue their studies in the dark. Leni Maiai, sophomore journalism major, left his laptop in the library. He was working on three separate projects on his laptop at the time of the evacuation. The evacuation was orderly throughout, said Narek Zaribian, a senior mechanical engineering major and library clerk, said of the evacuation. 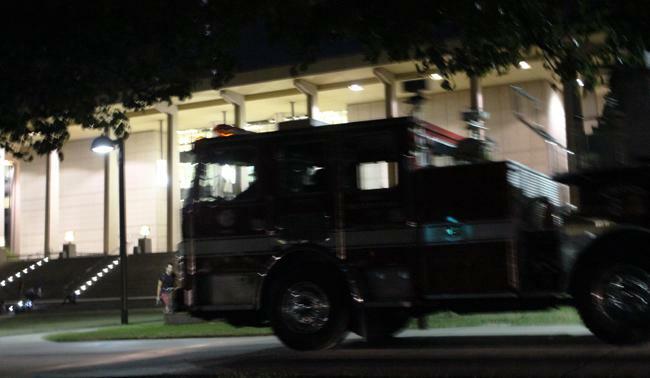 Although the smoke had cleared from the basement an electrical odor was still present after the library was deemed safe by officials. 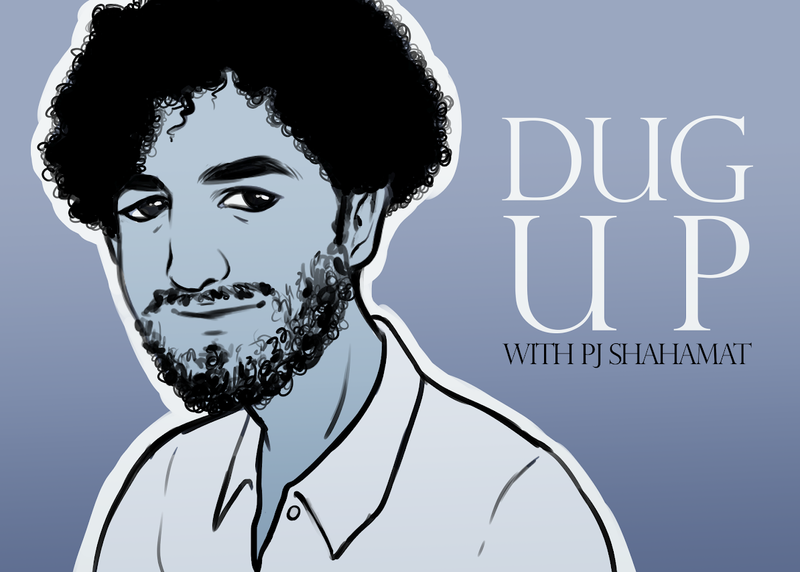 Follow The Sundial online for more updates. 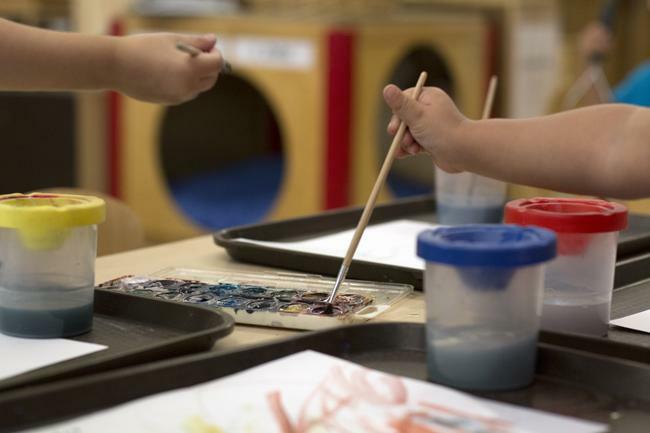 Contributing reporting by: Calvin Ratana, Neelofer Lodhy, Andrew Martinez, and Loren Townsley.